From The American Spectator. November 30, 2008. 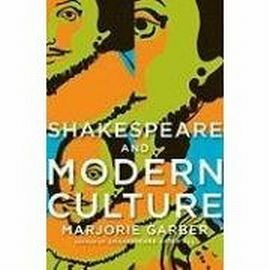 A new book by Professor Marjorie Garber of Harvard, Shakespeare and Modern Culture, is coming out next month to show us, according to the author, "that Shakespeare makes modernity and that modernity makes Shakespeare." Or to put it another but equally paradoxical (or tautological) way, "the timelessness of Shakespeare is achieved by his recurrent timeliness." If anyone can play this game, I would just like to add that the most timeless thing about Shakespeare in the 40-odd years since Jan Kott’s Shakespeare Our Contemporary has been the conceit of his timeliness. 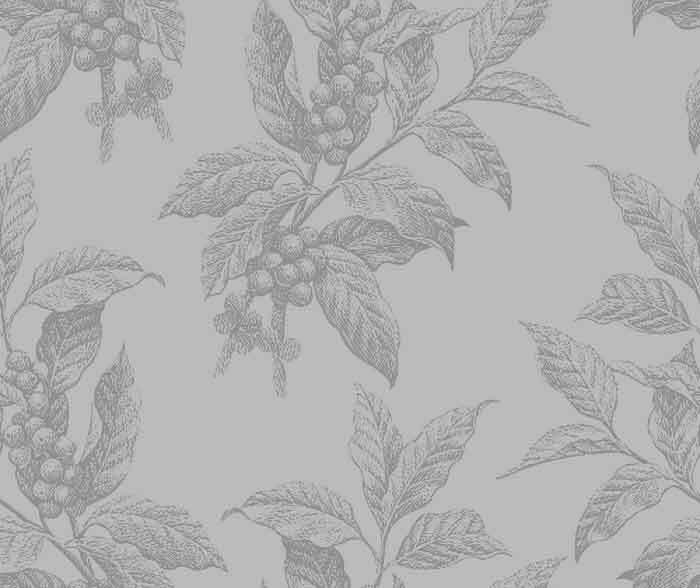 Or do I mean that the most timely thing has been the conceit of his timelessness? Either way, it does seem odd that our post-modern era, usually so averse to fine-sounding, even inspirational language like this about those once considered the "great authors" of the past, should have stuck so stubbornly to this quasi-scriptural approach to the writings of a 444-year-old Warwickshire poacher. Professor Garber is taking up the torch passed to her from Professor Harold Bloom of Yale who ten years ago, in Shakespeare: The Invention of the Human, seemed to have offered the ne plus ultra of claims to the Bard’s divinity. Some artistic objects of worship are not even so old — a little over a century now — as the religion of art itself. A new exhibition of the works of Mark Rothko (d. 1970) at the Tate Modern in London, for example, has led more than one British critic to view his work as a kind of religious experience. Hailing him as " arguably, the last great painter" Mark Hudson writes in The Daily Telegraph that "sitting among the paintings for the Four Seasons restaurant, engulfed by the brooding ox- bloods and burgundies of those enormous canvases you do feel a sense of awe appropriate to a place of worship." I suppose that God (or "something beyond the material") must these days be acknowledged to be — like the beauty with which Mr Hudson appears to be identifying Him — in the eye of the beholder. But if, like me, you are inclined to resist the altar-call of the aesthete, whether it is for Rothko or for Shakespeare, that may be because there is so often a political subtext involved when the artefacts of the past are being prized out of their historical contexts and set up as timeless monuments of the human spirit. Professor Nigel Smith of Princeton, for instance, offers a variation on Professor Garber’s Kottish air when he asks, in the title of his most recent book, "Is Milton better than Shakespeare?" His conclusion is that, if Milton is not better than Shakespeare, he is at least much more like us — or, rather, like our progressively-inclined Ivy League professors. This is true, I suppose, though it relies on a definition of "better" to which few outside the Ivy League itself would subscribe. But the professors are pedagogues, and now that neither schoolmaster nor professor is any longer licensed to beat a knowledge of the classics into his charges, such people have to find ways of making the great works of the past attractive, even "fun," to the young — who are always more or less resistant to education. The easiest way to do this is to pretend that their authors were a lot like themselves and were attempting to produce works of art or literature which are readily comprehensible within the familiar, pop-cultural frame of reference. Only, of course, they weren’t. Most writers have something "timeless" about them, and Shakespeare has more than most. But to focus on that to the exclusion of the cultural context that gave their words meaning to their contemporaries produces distortion and misunderstanding. The danger of the Kott-Bloom-Garber approach is that, in the effort to make education attractive, we make it into a form of mis-education, which in turn gives rise to an entire culture of literary and educational theory all directed to proving that mis-education, in this sense, is just as good for tender minds as proper education — or, actually, better, since it doesn’t leave them with any false sense of security about knowing "the truth." We of the Conservative Tastes may have lost the culture war, as Irving Kristol once observed, but we can still distinguish ourselves from the victors by remaining true to the concept of truth. Last year at about this time, I wrote ("Losing Sight of History," American Spectator of November, 2007) of how those who package and market the works of the past to today’s audiences so often take care to demolish their historical context in the process. That took off from a feminist and camp re-imagining of The Taming of the Shrew at the Washington Shakespeare Theatre, and this year we find the same outfit at it again with an all-male version of Romeo and Juliet. Now I know that the idea of a gender-bending approach to Shakespeare is as old as Shakespeare himself. Elizabethan England was as shocked as the Taliban is today by the idea of women on the stage, so all the female parts were played by boys — not, by the way, men, as at the Shakespeare Theatre. But beginning with the licentious Restoration period in 1660 and up until only a generation ago, men’s parts were played by men and women’s parts by women. I guess it must have seemed logical at the time. Now it is merely an ideological tic for Shakespearean directors to ignore that sort of patriarchal stereo-typing. One of the pioneers of the unisex approach to Shakespeare, Mark Rylance — loved these interchangeable roles for men and women and himself played Cleopatra on a famous occasion. I remember seeing in London three years ago, in the last year of his directorship at the Globe, a production of Troilus and Cressida — chiefly noted at the time for its use of what it advertised as Elizabethan pronunciation (it sounded like a combination of an Irish brogue and a backwoods American accent) — in which those famed Homeric warriors Aeneas, Agamemnon, Nestor and Odysseus were played by women with fake beards. This was particularly ridiculous when you consider that Troilus and Cressida — like the Iliad, the Odyssey and other treatments of the legend of the Trojan War — is all about masculine property rights in their women. The casting, therefore, became not an elucidation of the play’s meaning but an attack on it. I never understood quite what, if any, purpose this allegedly daring casting had beyond affirming the director’s own allegiance to the neo-Marxian ideology which regards traditional gender roles as a form of class oppression — that, by the way, is also how the personal became the political, something that in this ever-entertaining election season we all have reason to be thankful for. But the birds with the beards certainly didn’t have anything to do with Shakespeare as anything but a brand name. It is in this cultural context that we should see the Shakespeare Theatre’s casting for Romeo and Juliet — which went on to elicit an equally silly, all-female version of the same play from Taffety Punk, another local company, by way of answer. And why not? The more the merrier! "The idealistic conceit that both versions seem to embrace," wrote Peter Marks in The Washington Post, "is of a world slowly growing in enlightenment — one that more readily accepts one's own determination of how masculine or feminine, or male or female, to be." Akiva Fox, the Shakespeare Theatre’s "Literary Associate," took a similar line, noting that "Juliet alone calls for an alternative to the unending spiral of proving manliness" by calling on Romeo to "refuse thy name." Alas, "their world will not allow renaming; the pressure to be a man and a Montague conquers all." Note "their world" — as if it were not the world but some alternative world that could simply be rejected in favor of one more like our own: the one Mr Marks saw as "growing in enlightenment." Such utopian thinking Mr Fox, too, attributes to "the thinkers of Shakespeare’s time" who (he alleges) "were beginning to recognize the dangers of this reckless drive to prove manliness." Not a very hard thing to recognize, really, but we have to make allowances for the primitive ignorance in which such people lived. They were only waiting for someone with the dazzling intelligence of Shakespeare to come along and point out to them the folly of their way of life and all their "gendered" assumptions about the world. If you believe that, then I suppose it is but a short step to believing that Shakespeare is God and Akiva is his prophet. But Shakespeare, I can be pretty confident in saying, would not have agreed.